Depart for a circle island tour by 4WD through the mountain trails to several view points and the village of Vaitape, where you can still see the remains of World War II canons and bunkers. Your lunch will take place in the famous restaurant, Bloody Mary’s, with sand floors and coconut stools, under a thatched roof and surrounded by exotic plants. 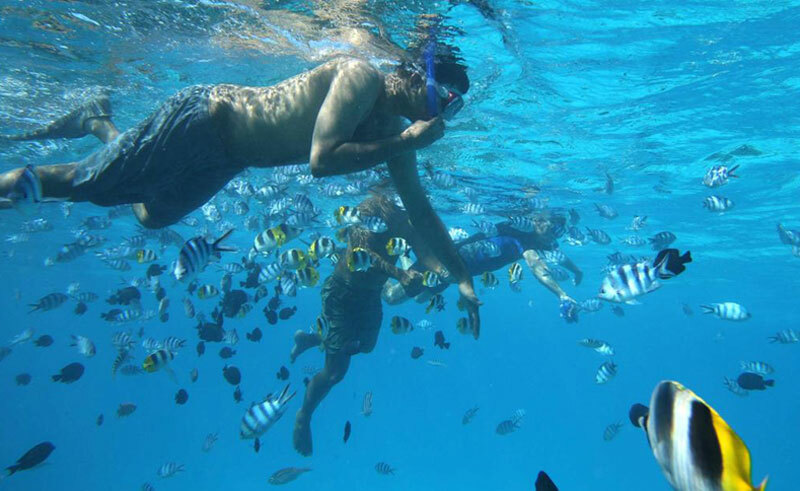 Continue the day with a snorkelling safari in the beautiful lagoon of Bora Bora to discover the underwater treasures.